I’ve spent a lot of time in Leadville, Colorado. 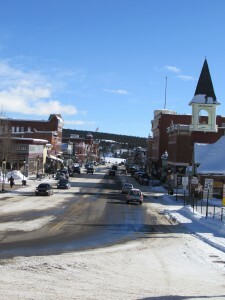 Also known as the Two-Mile-High City, Leadville is the highest incorporated city and the second highest incorporated municipality in the United States. In the late 19th century, Leadville was the second most populous city in Colorado, after Denver. But what I know most about Leadville is EPA’s work on cleaning up the California Gulch Superfund site and a local conservation group’s efforts to educate citizens on energy and environmental issues. The California Gulch site covers 18 square miles in Lake County, including Leadville and a section of the Arkansas River. Former mining operations contributed to metals contamination in surface water, groundwater, soil and sediment. Over the years, EPA has worked with the state, the local community and the site’s potentially responsible parties to clean up the site, coordinate ecological restoration work and redevelop specific portions of the site. While there are still portions of the site that are being cleaned up, 11 miles of the Upper Arkansas River have been restored and the area was added to the Gold Medal Trout Waters in Colorado. These fishing areas are noted by Colorado Wildlife Commission as places where trout are plentiful and larger. The designation has been 20 years in the making, and although anglers have enjoyed the improved conditions for years, it is an official acknowledgement of the myriad efforts by state and federal agencies, local governments and stakeholders to turn an impaired river into one of the most popular fishing destinations in Colorado. 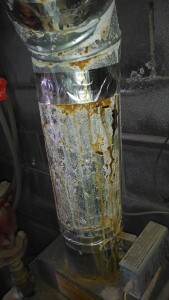 Gold medal waters are not the only great environmental happenings in Leadville. The Cloud City Conservation Center (C4) was awarded two EPA grants for environmental justice work and environmental education work. I got the chance to visit C4 and see firsthand how they are making a difference in the community. The environmental justice project focused on helping low-income and minority residents in Lake County reduce energy use and address under-insulated and leaky housing. It focused specifically on residents who have limited access to information due to language barriers, immigration status and other hurdles facing this EJ population. C4 conducted workshops using EPA grant funds to educate the community about conservation and efficiency measures they could implement in their homes to save energy and money. Thirty home energy audits and follow up support services provided participants the opportunity to improve the energy efficiency of their homes while becoming more knowledgeable about energy conservation. As a result of this initiative, the community enjoys lower greenhouse gas emissions and more comfortable homes. Additionally, the impact of global climate change is addressed through local solutions, thereby empowering the community to make a difference on the sustainability of our environment. The environmental education project, awarded in 2015, seeks to make Lake County youth the environmental leaders of the community, ultimately expanding Lake County’s capacity for environmental stewardship. 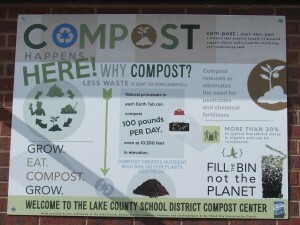 Approximately 1,100 Lake County K-12 students will increase their environmental understanding through daily composting and hands on education. This will increase capacity in each Lake County School to reduce waste, reduce greenhouse gas emissions and create a valuable environmental product, establishing a model program for the community as a whole. 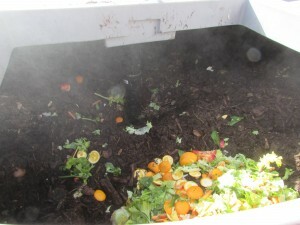 The compost will be used in a future greenhouse project for the local schools. The kids who are involved in managing the compost bins are incredible proud of the positive local environmental impact they are having at their school. The transformation from mines to parks, gold medal trout waters, environmental justice initiatives and future environmental leaders is impressive. Visiting grantees is one of my favorite things to do in my job. It gives me a chance to see for myself all the great work EPA grant funds make possible. Talking to kids who are excited about the environmental changes they are making is amazing. It motivates me and makes me feel like I am part of a very large movement to restore, protect and improve our environment. C4 is continuing to work with the Leadville community to address environmental and public health issues. Wendy Dew is the Outreach and Education Coordinator for EPA Region 8.